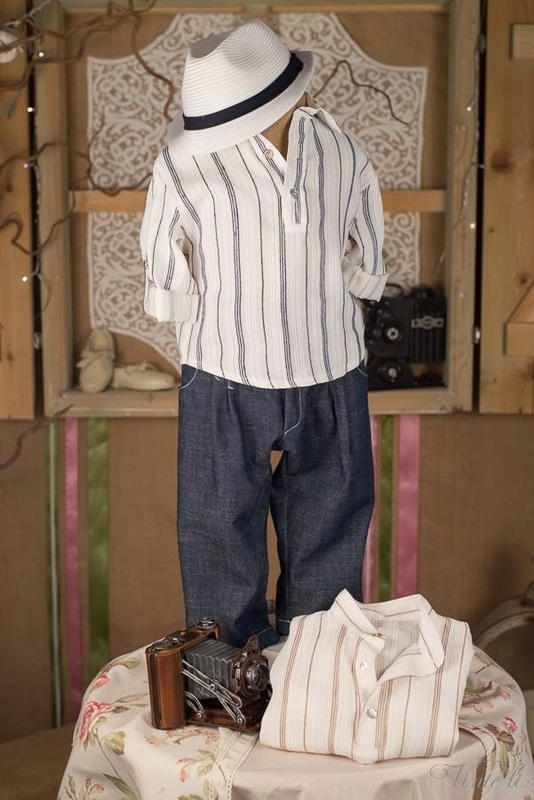 Casual clothes for boy's christening, jeans pants combined with a blue striped white shirt and a white trilby hat. The shirt is also available in beige color. Greek manufacturing made of 100% cotton. https://www.preciousandpretty.com/2014/04/christening-clothes-for-boy-3204.html Greek Wedding Favors|Orthodox Crowns|Stefana|Baptism Invitations Christening clothes for boy 3204 Cotton christening clothes for boy made in Greece Product #: Greek Wedding Favors|Orthodox Crowns|Stefana|Baptism Invitations_2253165781615342925 5 stars out of 5 reviews.